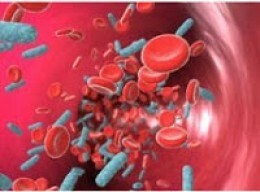 Sepsis is a systemic inflammatory response to severe infection, impairing metabolic function across all organ systems--affecting some 28 million people and claiming 8 million victims worldwide each year. Septic shock can lead to permanent neurological and muscular damage. Researchers at the Ottawa Hospital hope to change these statistics with an innovative therapy using injections of mesenchymal stem cells. Scientists from the Institut Pasteur have developed a novel therapeutic approach to sepsis that utilizes mesenchymal stem cell transplantation to restore muscle capacity. Sepsis is a systemic inflammatory response to severe infection, impairing metabolic function across all organ systems--affecting some 28 million people and claiming 8 million victims worldwide each year. Septic shock can lead to permanent neurological and musculatory damage. Mesenchymal stem cells can be easily cultured in the laboratory and are known for their immunomodulatory properties, which makes them an excellent option for cell therapy transplants that aim to repair degenerative or traumatic lesions.